Hey Oppo, so I finally bought a car to replace my RSX. 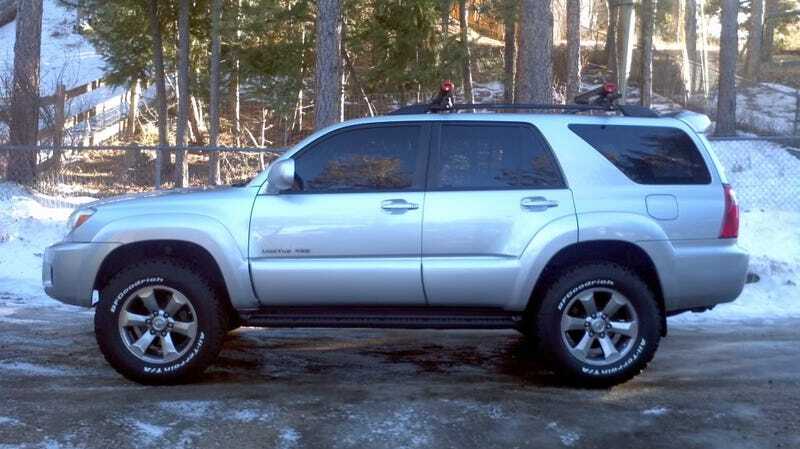 I found a nice 4Runner Sport (not the one pictured but close enough). I’ve got a couple of modifications in mind starting with Bilstein 5100’s. Now, when it comes to wheels there are tons of them out there. The problem is a lot (most) look like they belong on Bro Trucks which is definitely not what I want. I’ve got a couple wheels in mind already, but are there any out there I might’ve missed? The 4Runner uses a 6x139.7 pattern and needs at least a 17 inch wheel.